The Big Sky Tournament is finally upon us! On Saturday, there will be two quarterfinal games being played. In the four vs five matchup, we will see Idaho State travel to Cheney to take on Eastern Washington. Let's break it down. They actually have played twice in the past week. Last Thursday, Eastern Washington won 85-78 in Idaho, and on Tuesday night they won 77-64 in Cheney. I look at this as the 1-2-3 positions for these teams. 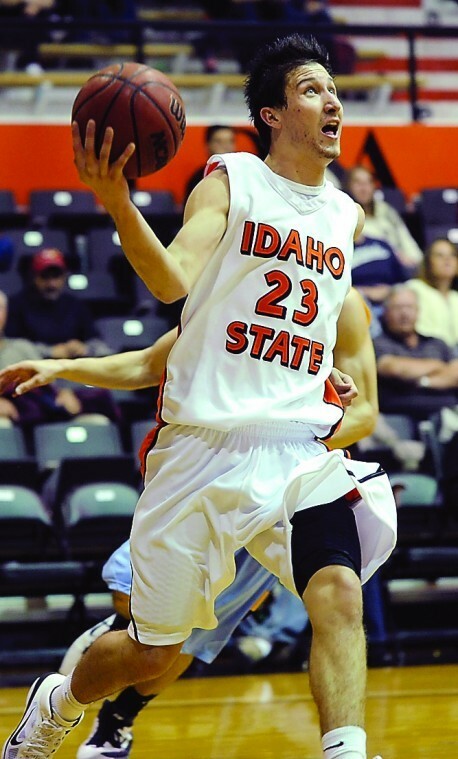 For Idaho State, they have two Big Sky second teamers in Chase Grabau and Kenny McGowen. Grabau is a do it all guy that has been one of the most versatile players in the conference. He gets to the line, is very efficient offensively, is a very good passer, and can even stretch the floor. Defensively, he makes plays happen. Kenny McGowen has had some really big moments as well this year. He hasn't been an overly efficient player, but when he gets hot he can make teams pay. Rounding out the lineup is Melvin Morgan, who like McGowen is kind of a streaky player. When they are on, they can beat anyone in the conference. 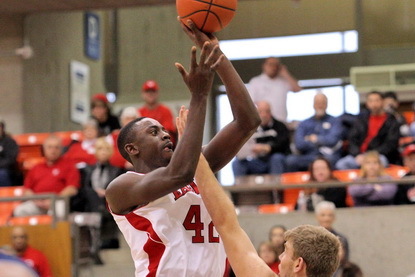 EWU is led by first-teamer Cliff Colimon, who has been one of the best point guards in the Big Sky this year. He is a very solid passer, and can also put up 20 points on you. He gets to the line, and shoots well enough that you always have to account for him. 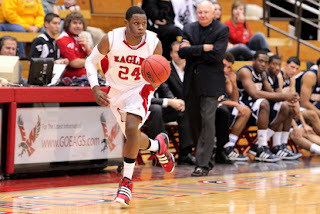 Joining him in the backcourt is Jeffrey Forbes, who is unheralded but has a role on this team. He is a very solid defender, and again helps to keep defenses honest. Collin Chiverton has had an interesting season. He can be a bit of a ball stopper, but he does shoot 41% from downtown. He is the rare guy that may be wise to stop shooting so many twos, as he only makes 33% of them. EDGE: I will cop out and call it even. Both backcourts are very streaky, with one guy (Colimon, Grabau) for each that really stands out. Eastern Washington starts two seniors up front, and both have been consistent, solid players for them. Cliff Ederaine is a bit more versatile, as he is a really good passer and surprisingly deft ballhandler for his size. Laron Griffin is a more traditional banger. He is a solid rebounder, and efficient offensive player around the hoop. ISU's frontcourt is led by Abner Moreira, one of the best rebounder and interior defenders in the Big Sky. He doesn't add a whole lot offensively, but he sets the standard for toughness for the Bengals. He is flanked by Andre Hatchett, who is only 6'4'' but plays a lot of minutes in the frontcourt. EDGE: Eastern Washington has the decided frontcourt edge. Idaho State has struggled with a thin bench all year long, as their bench plays just 24.4% of the team's minutes, 301st in the country. Even more, not many of those guys have contributed. Sherrod Baldwin and Garrett Swanson can make some plays, but neither guy has really been a consistent player for them. Eastern Washington gets 28.3% of their minutes from the bench, just 229th in the country, but they have a lot more talent and depth. Tremayne Johnson is a versatile forward that can step in at either spot. Jordan Hickert keeps teams honest with his shooting. Perhaps most importantly, Parker Kelly has developed into a big-time weapon for them off the bench, and has even been a guy they have looked for in crunch time. He has been one of the most pleasant surprises in the conference. EDGE: Eastern Washington has better players off the bench, and more of them. The truism is that it is tough to beat a team three times in one season, and this is even more true if we are talking about three times in a nine day stretch. However, I simply think Eastern Washington is the better team. They are more athletic, they are better shooters, and they are deeper. Idaho State has had some nice moments this year, and you know they are going to come out thinking they can win, but I have a hard time seeing it. One way to exploit EWU is by getting to the foul line, and that is not something ISU is very good at, as they are more of a jump shooting team. The Eagles are susceptible to losing at anytime, because they are so reliant on the three-point shot, but I think they have a lot more options and weapons than the Bengals. 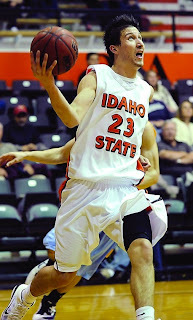 The third time will not be the charm for Idaho State. OK, I'm just going to say this because I used to watch ISU basketball and I have given up because they had only won one game in February. The tall guy, yes the 7'4 player from Poland. Why hasn't anyone taught him how to play. Isn't that what the coaches are supposed to do? He has so much potential. The Freshman Swanson, what about the article, bringing the energy? He was a fun player to watch with a sweet shot, and of course he is going to make mistakes. You know how you crap it up? Don't play him for 8 games and then throw him out there for one minute. That's got to kill the kid's confidence. The kid that looks like Tarzan plays like Jane. He had potential too. What are these coaches doing? Why can't or won't they coach? The rumor is that they have all been fired, they know it and want to lose. It sure looks that way to me too! I bet that ISU lose by 20!